You only get one life so you might as well make it a happy one, and that’s why I tend to just jump into things. 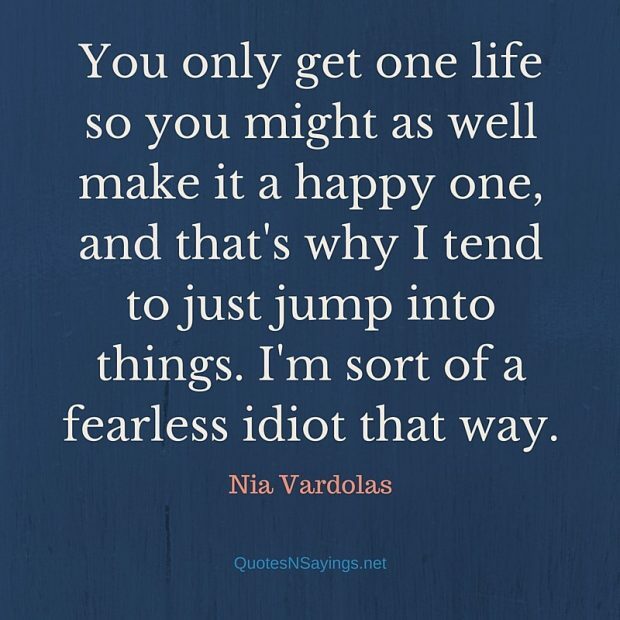 I’m sort of a fearless idiot that way. 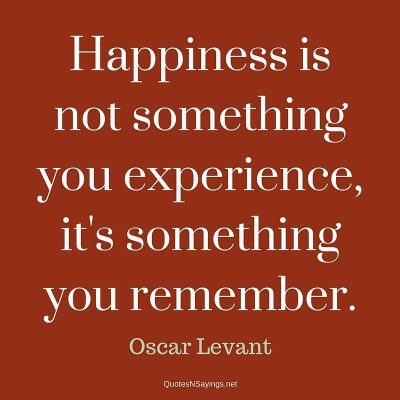 Happiness is not something you experience, it’s something you remember.